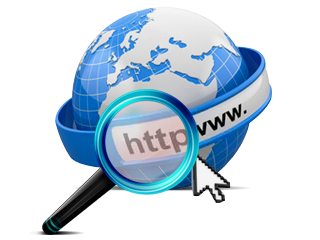 Website monitoring tool monitors and checks different sites status which is mentioned above and provides facility to alert the user via email or beeps a sound or runs a specific program when user’s website is down or not found. 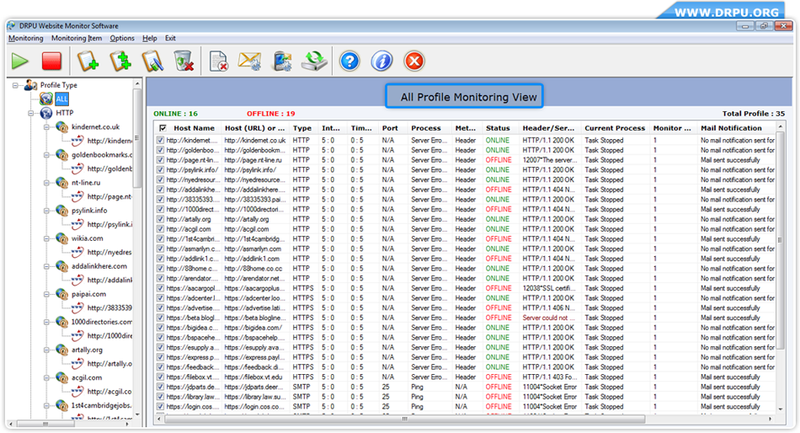 » Software monitor different internet services like HTTP, HTTPS, SMTP, POP3 and FTP server protocol. » GUI interface easy to use website traffic monitoring utility notifies users regularly through an email about the website status. » Easily understandable software provides an option to switch from main view to monitoring view. » Does not require any professional skills to operate the software. Want to know websites status? Downtime, uptime, and ping status of various websites. Inaccessible sites status, Unavailable sites status. Site down or not found status, Not responding website status. Server, web server status, Valid time sites status. System error like (‘host not found’, ‘low bandwidth’, ‘connection failed’, ‘low connectivity network status’).